Tracy A. Dierks, Ph.D., is an associate professor in the Department of Physical Therapy. He also holds an appointment with St. Vincent Sports Performance Science. Prior to beginning his appointment as faculty in the School of Health & Human Sciences, he was faculty in the Department of Physical Therapy in the previous School of Health and Rehabilitation Sciences (2005-2018). His area of expertise is biomechanics, specifically gait (running, walking) and exercise-related injuries and performance, as well as exercise science and health promotion. He has made significant research contributions to the area of running injuries, especially in the etiology and development of interventions for patellofemoral pain in runners. Dierks is also a founding member of St. Vincent Sports Performance Science since 2014, where he has made significant research contributions in the areas of injury screening and performance training in athletes. Courses taught within the department include biomechanics, advanced therapeutic exercise, health promotions, and evidence-based practice. He graduated from the University of Nebraska at Omaha with a B.S. in 1999 and a M.S.in Exercise Science in 2001, and earned a Ph.D. in Biomechanics and Movement Science from the University of Delaware in 2005. Dierks is the director of the Motion Analysis Research Laboratory affiliated with both the Department of Physical Therapy at Indiana University and St. Vincent Sports Performance Science, located in the new Indiana Pacers practice facility in downtown Indianapolis. His research is primarily focused on the biomechanics of gait and exercise- and sport-related movements associated with injury and performance. His most extensive work in this area involves the mechanisms contributing to lower extremity running injuries, and the development of intervention and rehabilitation programs for running injuries, especially for patellofemoral pain syndrome. Dierks has several publications and presentations on this work, which includes the investigation of running mechanics in both healthy and injured runners, and in the development of interventions involving muscle strengthening of the legs and core, dynamic alignment training, shoe wear, and anti-gravity treadmill training, to name a few. He is especially interested in how variability and fatigue are related to running injuries and performance. 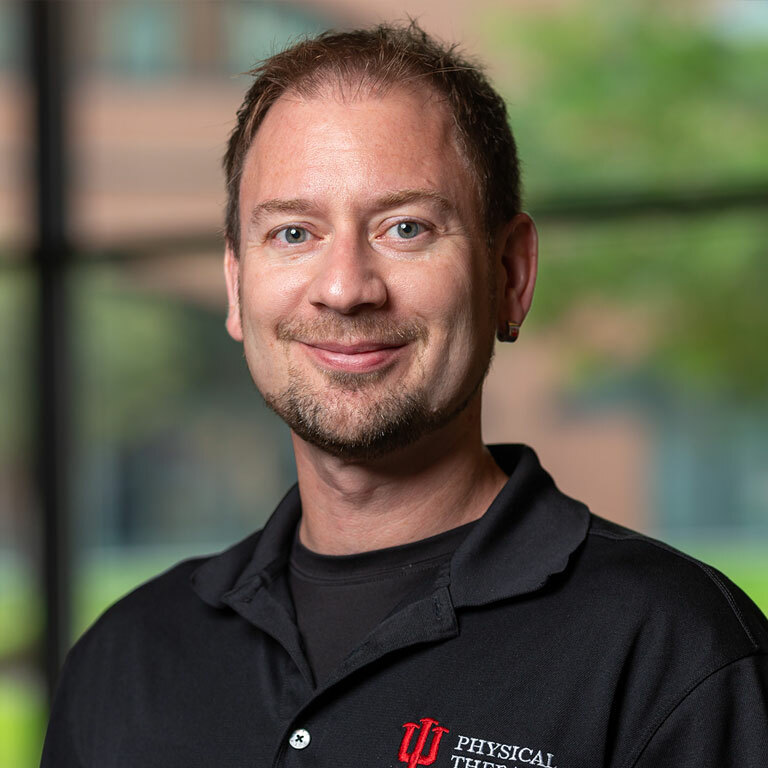 His most recent work involves a collaboration with the Department of Kinesiology at IU Bloomington in the development of a multi-site prospective study aimed at identifying risk factors related to running injuries. Other related work includes pre-participation screening in athletes to assess injury risk and aid in return-to-play decisions, as well as interdisciplinary training to improve athlete skills and physical attributes. More recently he has made significant contributions in the use of anti-gravity treadmill training to improve running performance. Dierks has also made significant contributions to research involving gait and biomechanics in physical activity and rehabilitation outside of the athlete setting. Some of this research includes how chronic stroke influences walking gait mechanics and endurance, and how rehabilitation programs involving yoga-based exercise aid in recovery of gait. Dierks is also a founding member of the Robotics Laboratory in the Indiana Center for Advanced Neurorehabilitation, where several studies have been conducted related to the effects of robot-assisted training in rehabilitation programs for children with Cerebral Palsy. More recently, he is involved in a collaboration with the occupational therapy department working to develop an intervention program aimed at increasing functional gains from exercise in older adults who are at risk of developing disabilities related to activities of daily living.